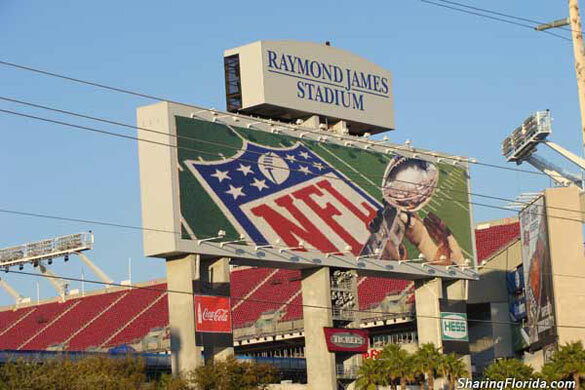 Photos from outside Raymond James Stadium in Tampa a week before the Super Bowl. This is the NFL Experience Presented by Bank of America. 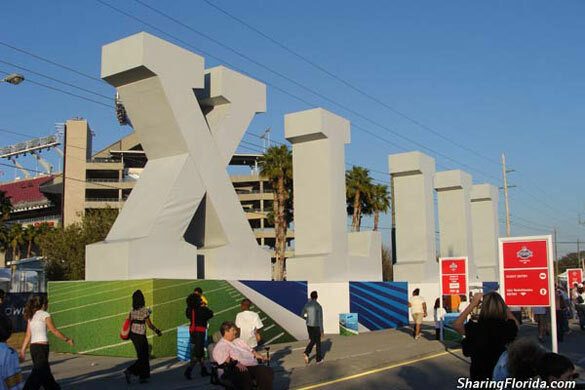 Check out the super large XLIII letters. 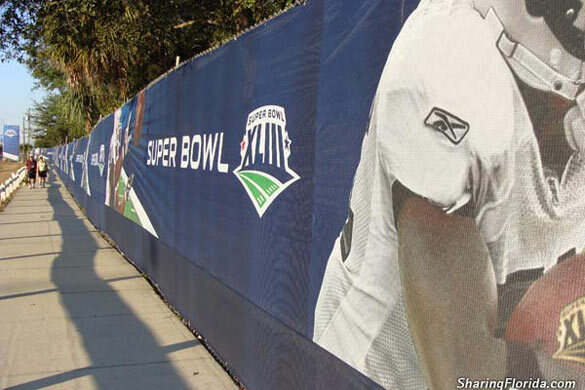 This is the Super Bowl in Tampa Florida a week before the actual game. 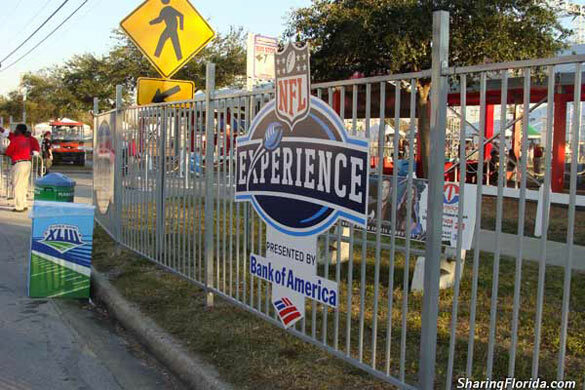 The NFL experience presented by Bank of America. Going OUTSIDE the event is free. 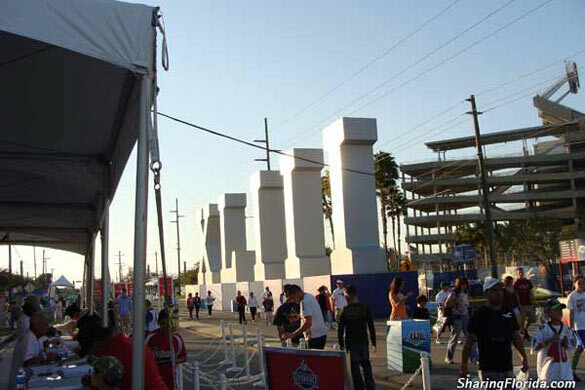 To go inside and play the NFL experience will cost you some $$$. You must also sign a waiver saying you won’t sue Bank of America if you “go and twist your ankle kicking a field goal“.